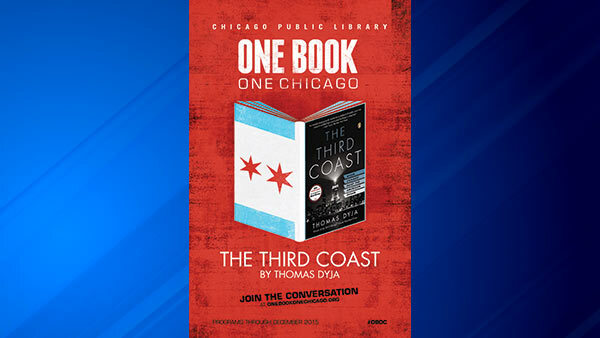 "The Third Coast: When Chicago Built the American Dream" is written by Thomas Dyja, a Northwest Side native. CHICAGO (WLS) -- A book about Chicago's cultural explosion is the city's choice for this year's "One Book, One Chicago" program. "The Third Coast: When Chicago Built the American Dream" is written by Thomas Dyja, a Northwest Side native. It explores the city's history, featuring characters such as Hugh Hefner and Richard J. Daley. This will be the first time ever that "One Book, One Chicago" programming will take place in all 80 branches of Chicago Public Library. Free citywide programs will launch in early October.